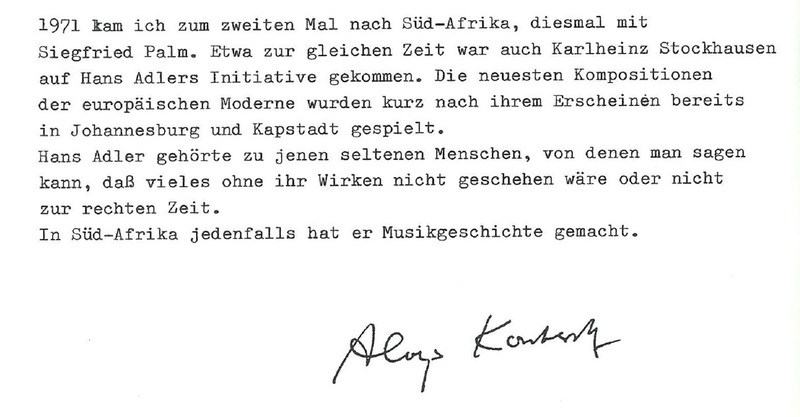 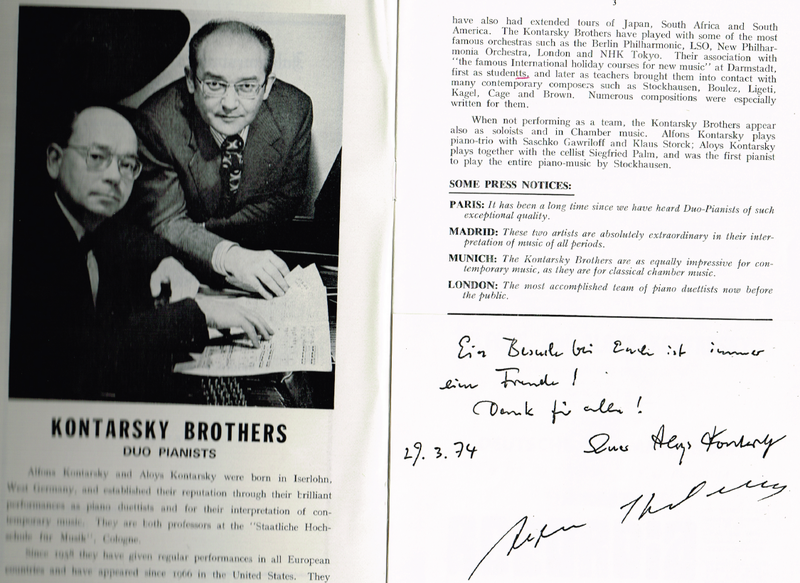 Celebrated musicians' concert tours of Southern Africa 1953 -1978: 1967 on - Kontarsky Brothers Alois and Alfons, German Piano duo. 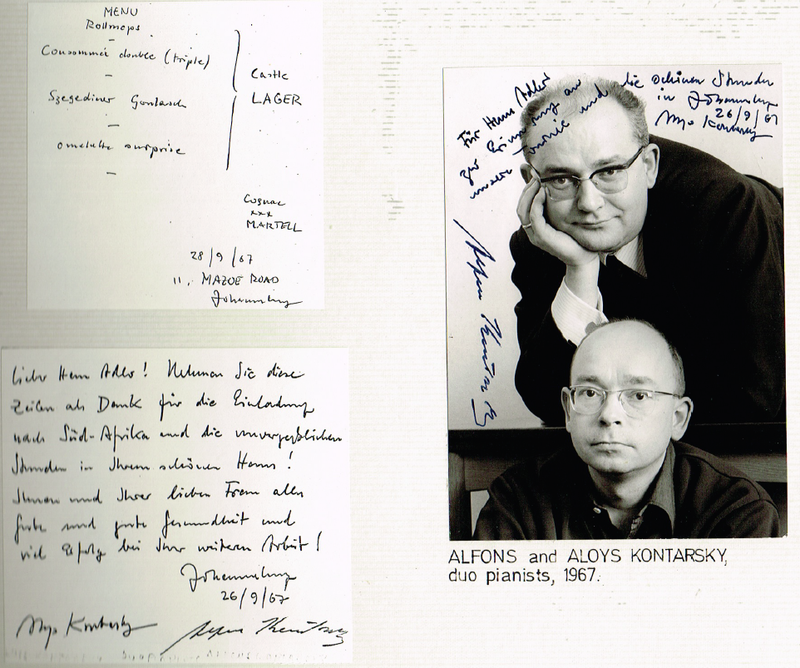 1967 on - Kontarsky Brothers Alois and Alfons, German Piano duo. 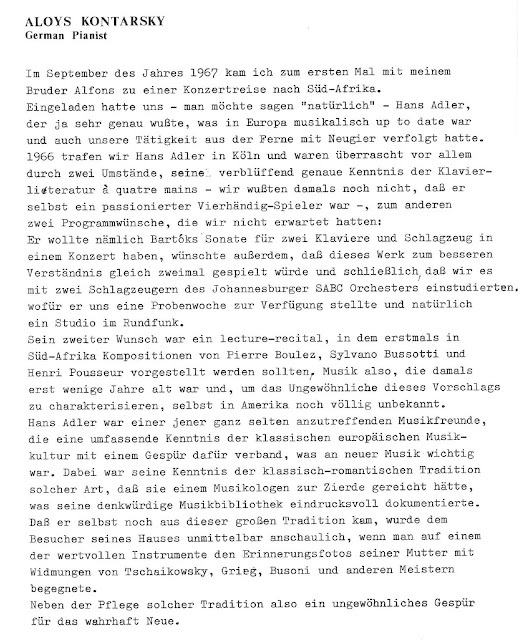 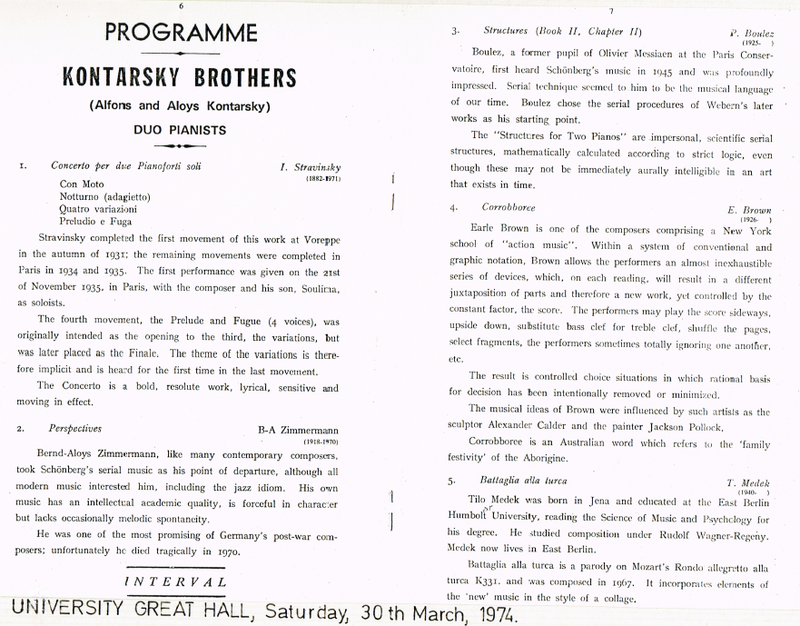 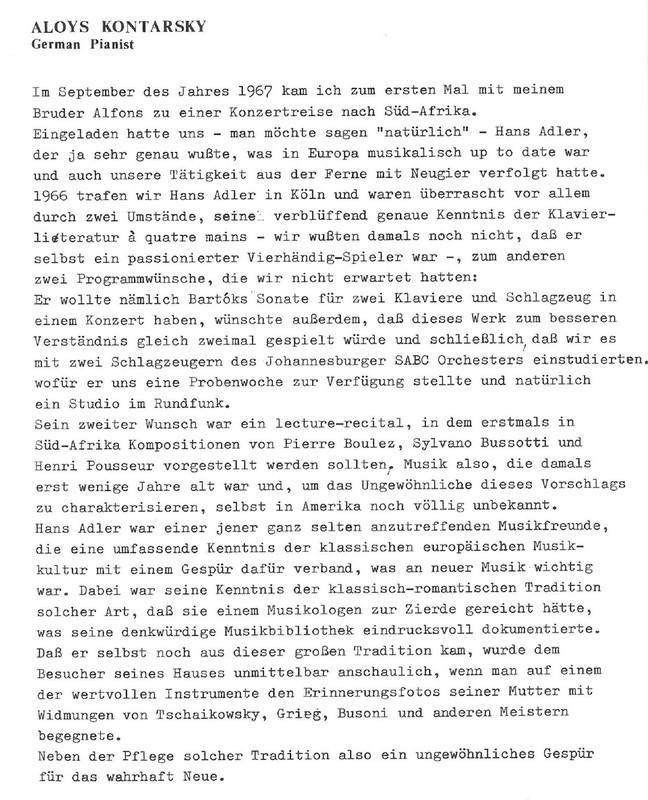 Kontarsky Brothers Alois and Alfons, honoured German Piano duo. 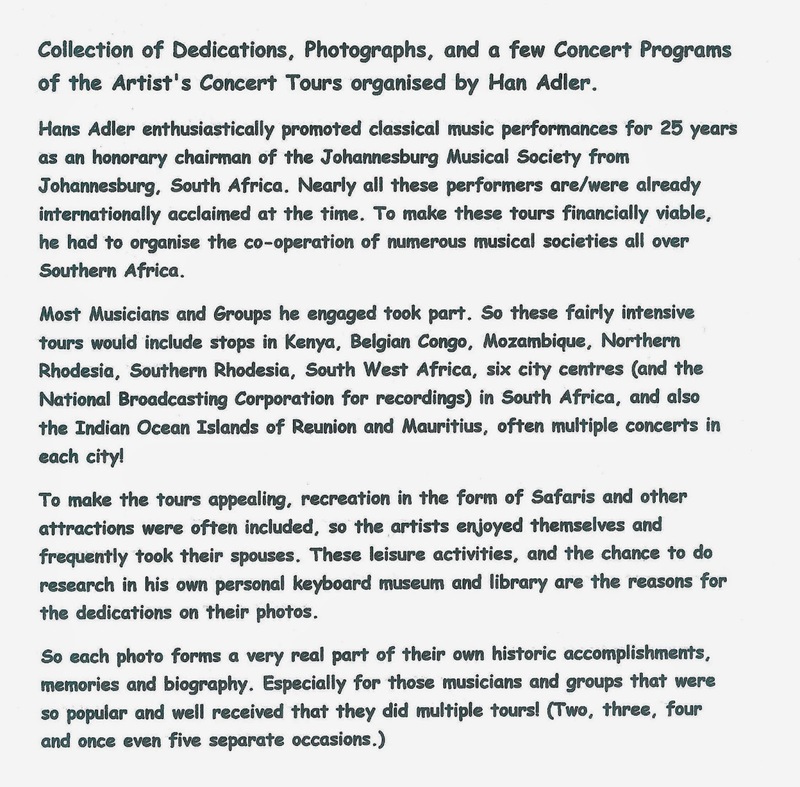 2 Acclaimed tours.